I hope you all had the weekend you hoped you were going to have. I sure did. I baked my first Christmas cookies of the season (recipe tomorrow, if I write it up tonight before Sunday evening syndrome hits me good) and I made – but kind of failed at – spiced orange brioche! Also, because I’m so pre-Christmas poor, I haven’t been hungover at all in the last 48 hours. Winning on all counts. Here’s some of the non-recipe, Sunday vibe stuff I want to share with you..
As you probably know by now (because I whine about it constantly) I can’t eat dairy anymore, so this is a product launch that I am pretty excited about. I’d tried Alpro’s plain yoghurt yonks ago and decided that it wasn’t really my thing, but the arrival of coconut and almond brings something better to the table – in my humble opinion. The coconut I’m not huge on, I’m yet to fully accept the coconut madness that’s still gripping the nation. Almond though, I’m totally hot for. It’s gorgeous with a drizzle of honey and a scoop of granola. It’s that time of year again when I have to use all of my resolve to not buy every single thing that’s been given a Christmas makeover in the supermarket. Like cornflakes with Santa Clause on. Do I eat cornflakes? No. Would I use an enormous box of cornflakes? No. Did I almost buy this enormous box of cornflakes? Yes, it was a very close call. More irresistible packaging from Colman’s this year, they’ve gone festive vintage with their cranberry, horseradish, mint and apple sauces. I’m a little obsessed and keep putting them on the table for meals that they are not appropriate for because pretty. This is the Eighty Shilling, award winning ale from Rebel Brewing Co in Penryn. When I was invited to give this a go, I accepted willingly on the behalf of my Mum (I’m not a big ale girl) and she absolutely loves it. Whether that’s for the taste or the mere fact that it’s a product of Cornish origin, we’ll never know. You all know how much I love my hippie vibes. I’m heavy into yoga, even though I don’t do it often enough, and I’m obsessed with learning more about the whole chakra thing – which, incidentally, I’ve been doing recently with this book. 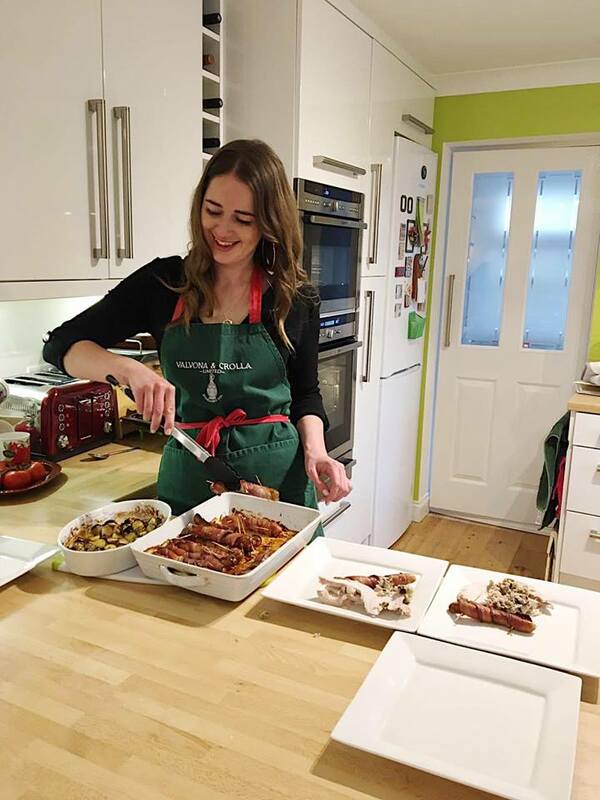 The Chakra Kitchen teaches you how to eat for chakra health, giving you a breakdown on the foods that are associated with each one and how they affect you. Basically, if you’re into this stuff, it’s super interesting. It also talks about harnessing the power of crystals, which even I’m not ready for yet, but hey.. buy it here. While on the subject of hippies, I recently discovered this song (a walkout track on one of Aziz Ansari’s standup Netflix specials) and I haven’t listened to anything else since. There we go I think that’s pretty much everything. I might start doing one of these every Sunday, what do you reckon? See you tomorrow (or maybe the next day, go easy) for COOKIES! WOE is me, I do not. Thinking about moving there though.. do you? Me too!! So glad I’m not the only sufferer, ha!